More ​Kayle nerfs will enter League of Legends Patch 9.7, wrote ​​League of Legends​ developer August Browning on Twitter this week. 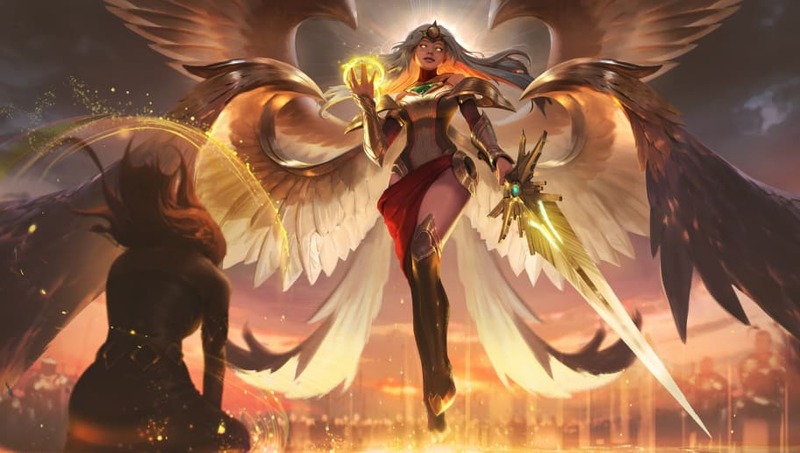 The co-star of the ​major update alongside twin sister Morgana, Kayle received a complete overhaul in visuals, audio and gameplay. The most significant change was the introduction of her new Passive ability Divine Ascent which gave Kayle significant scaling power. Despite intentions for Kayle to be a mid-game/late-game threat, Kayle has proven exceptionally powerful at all matchmaking ranks in all regions. Consequently, Kayle will receive nerfs in the upcoming Patch 9.7. Kayle recently had ​nerfs and buffs in Patch 9.6 that had aimed to tilt her more towards an Attack Damage (AD) build over an Ability Power (AP) build. The planned nerfs in 9.7 will reduce her baseline statistic growth in order to make her more dependent on items to achieve similar levels of power. ​Despite assertions that Kayle was "Getting nerfed cause Rito lost to her in a silver game," her winrate went up this patch by 1-2% (high MMR went up more) due to the W and E buffs we put in. Likely too strong in all MMR's. Prepping nerfs for 8.7 (sic) that make her more item dependent. Kayle has not seen professional play in Spring 2019 thus far at time of writing in the major regions, in part because she has been disabled due to the sizable rework. The viability of Kayle at professional level is highly debated compared to her high winrate in the ranked ladder.